Tired of all of those chaturangas? Try hands free sun salutations, instead! 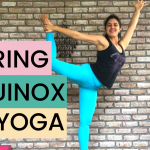 This quick yoga video will teach you how to modify your sun salutations so that your hands never have to touch the ground. 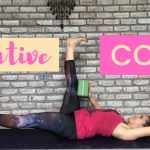 Instead, you’ll rely on your legs and your core for more power through the poses in the vinyasa. You’ll also build more strength and balance when you practice these hands free sun salutations regularly. They’re creative, fun, and best of all, your wrists will get a break! Get more videos just like this by subscribing to my free YouTube channel! © 2017 Naomi Gottlieb-Miller. All rights reserved. Are you struggling to take care of yourself, mama? Take my quiz to find out whether your personality matches your self-care habits and I'll teach you a few simple ways you can create a sustainable self-care routine.